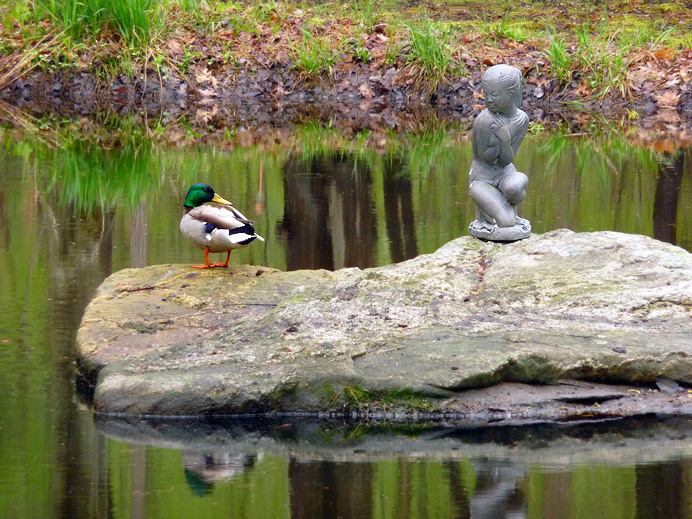 This duck, a male mallard, has been hanging around a tiny island in a pond on King Street, where the owner has placed a statue of a bashful wood nymph. Today I caught them in a pose that, when I opened this in PhotoShop, made me laugh out loud. By a wide margin, readers chose April 28. That's one of my favorites, too, but I also like April 1, April 14, April 17, and especially April 21. Thanks to all who voted.